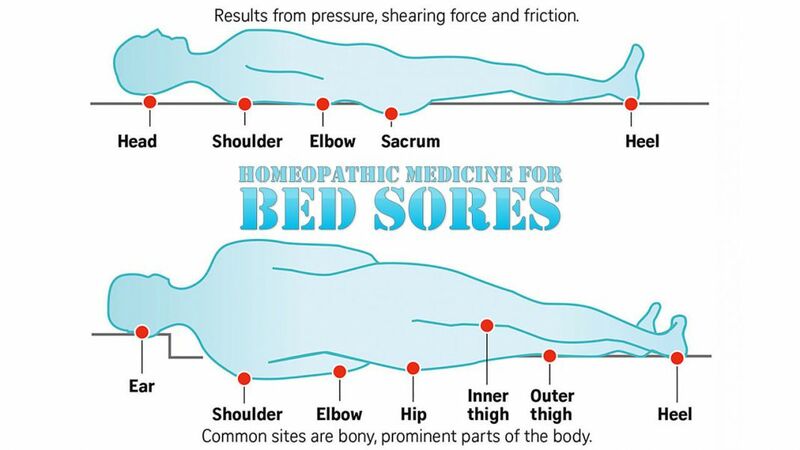 Bed sores, especially on hips and sacral region. Great soreness. Arnica should be given 3 – 4 times a day. Externally, calendula Q. (mother tincture) should be applied. Burning in bed, sores, relieved by warmth.